During my entire “youth-hood” (yes that’s now an official word), I was in good physical shape. I worked hard during basketball practice after school and chose running and weights to do for class during school. Like most people that age I could pretty much eat what ever I wanted with little negative result. Unfortunately those of us who pack it on do it for a couple of main reasons. *no longer care about ourselves. Inside, I feel like I’m 125 lbs… Spry, agile, and ready to take on the world. On the outside however, shows the truth about my health. There is an ad using plus size models going around that is promoting loving yourself. The controversy is that while it promotes loving yourself at whatever weight it also promotes living in denial about your health. Like many people who are over weight and struggling with accepting and loving themselves where they’re at, I also understand that where I’m at is not only unhealthy but, (don’t get mad) I don’t believe it is how God intended for us to treat his creation. It always makes me think about my husband and how he tries to explain complicated mechanical stuff to me. It sounds so technical and difficult. He then will try to break it down in the most simple terms: Put in the proper clean fuel, always keep an eye on how things are functioning, and take care of things that seem a little out of whack immediately. If you treat what seems like complicated machinery with care and respect, it will perform well for a very long time. I think when we start having issues with weight gain and poor health it is a direct result of not caring about the “things (even little things) that seem out of whack.” All of the sudden its not worth the time or struggle. When I think about that plus size ad, my selfish side wants to say..”Yeah! They are beautiful! I am beautiful! Why do care if a few people can’t see that?” When I try to look at it from a different angle I see the lies. My God says that he loves me no matter what, but he gave me this beautiful well tune magnificent vessel to be in. I believe he wants us to take care of it the best we possibly can. He says we are worth it. We are worth denying ourselves things that are not good for us, I.e. undo stress, bad food, laziness,. We are worth the extra little bit of time to do physical activity several days a week to keep our blood pumping through clean veins that transport vital oxygen to our brains. I believe what he says. Putting that into action is the tough part. Almost every day I am telling myself… especially in the hard, tempting places…. 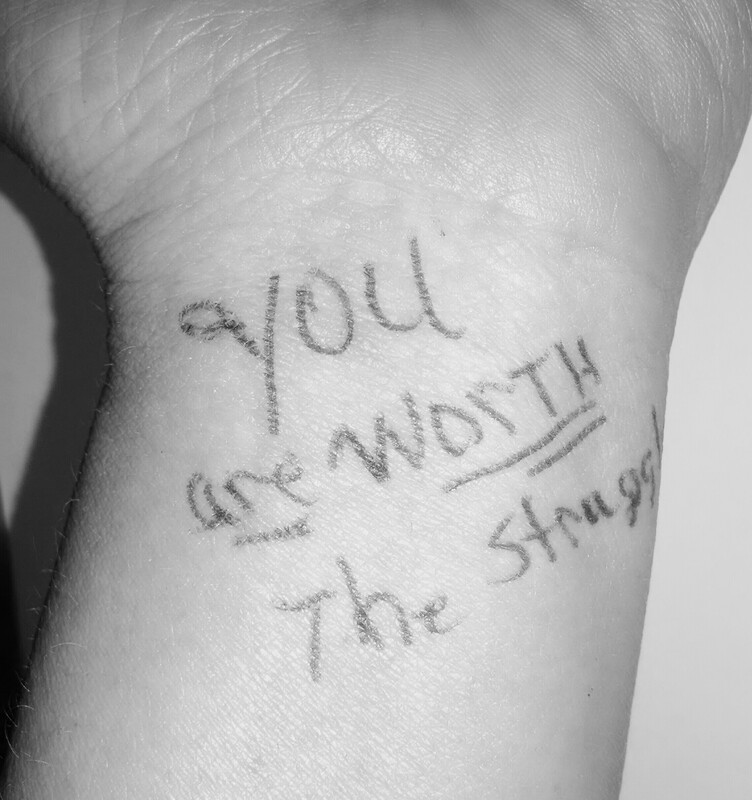 Aren’t you worth the struggle? 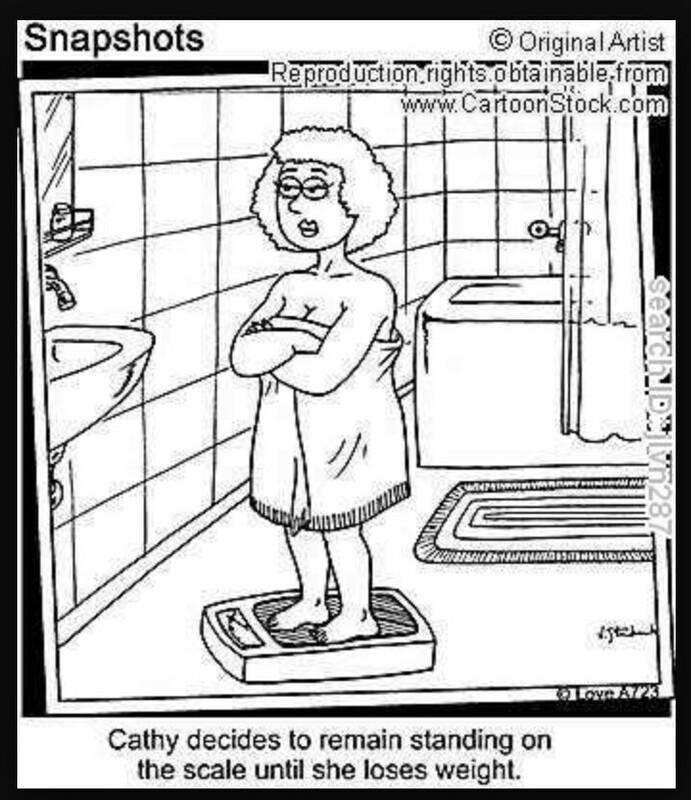 ***incidentally my bathroom scale has started to agree!